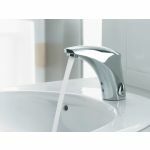 Save money on your next plumbing repair or water heater installation with our local Atlanta plumbing deals and coupons. 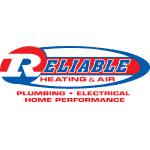 Right now, Reliable has an unbeatable water heater special - Get a brand new 50 gallon Rheem water heater for just $19 a month, with no money down and free repairs and maintenance for life. See below for all of our local plumbing deals. Does not include necessary electrical connections. 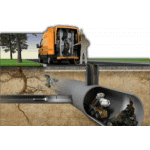 Free Sewer Camera Inspection with any Drain or Sewer line Plumbing Repair. Tankless Water Heater Furnished and Installed. Customer Provides Hardware. Includes Installation of New Pop Drain & Braided Supply Line. Does Not Include New Isolation Valves. Includes fill valve, new flapper & supply line. Customer provides hardware. 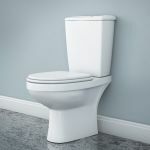 Includes new wax ring, supply line, removal, floor bolts and disposal of old toilet. 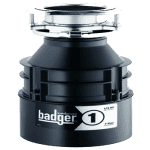 Includes up to 5 ft of flue & thermal expansion tank and removal of old tank. Standard installation. Call for details. Cannot be combined with any other offers or discounts. Expires 5/31/19. 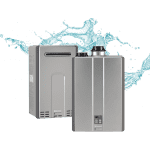 Get the #1 Selling Tankless Water Heater for energy efficient endless hot water. This is not a finance deal. This is Comfort as a Service. Nothing down and only $54.99/mo. No credit check. Nothing down. All future repairs are completely no charge. Get a new gas or electric water heater for only $19.99/mo. This is not a finance deal. This is Comfort as a Service. Nothing down and lifetime repairs included! 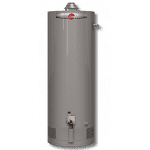 Get the #1 Selling Tankless Water Heater for energy efficient endless hot water. Standard Installation Only. 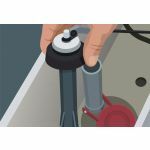 We install and repair the most trustworthy brands, so you'll get a water heater or plumbing fixture that will last. Our plumbing installations come with our 100% satisfaction guarantee. Plus, we back all of our repair work 1 year after service. Or choose Comfort as a Service where you get lifetime FREE repair & maintenance and completely new water heater or upgrade to tankless NO money down and easy low monthly payments. Just ask our 3,000+ 5-star reviews.